Adventures of a Thrifty Mommy: Journal Buddies Review and Giveaway! - CLOSED! Journal Buddies Review and Giveaway! - CLOSED! As a little girl I always loved to write in a diary or a journal. It is so nice to have a place where you can write down your private thoughts and dreams. 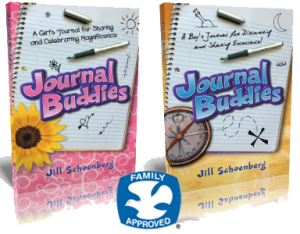 I was recently given the chance to review Journal Buddies - A Girl's Journal for Sharing and Celebrating Magnificence. My daughter is about to turn seven and I think it is time that she starts writing in a journal. Journal Buddies is not your ordinary journal! It guides your child of what to write about all the while strengthening their self esteem, teaching them to build healthy relationships, and creating a positive outlook on life. Each journal entry has a page where you can write three traits you like about your "buddy" and your buddy can write three traits she likes about you. I tried this with Bella and I think it really boosted her self esteem! It's easy for us as moms to think our kids are amazing but it makes a big difference to our kids when we say those things out loud! I love that this journal is something that she will be able to look at for years to come! You can purchase Journal Buddies here! 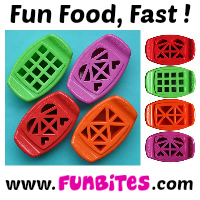 This giveaway ends July 30, 2011 at 11:59 pm. Good luck! I'm a gfc follower and I like the power of a smile journal prompt. The Power of a Smile is my fave! I follow you on gfc and I like the ice cream journal prompt! The Journal Buddies have a wonderful idea of prompting the writer to think about what is going on around them and in their lives on special days. I follow you via facebook, twitter. I follow you on GFC(kellyr78) and I like the journal prompt of Global Forgiveness. Following Adventures of a Thrifty Mommy via Google Friend Connect. AND I visited Journal Buddies, my favorite journal prompt Journal Prompts | Global Forgiveness. Personally, I think more people should more forgiving. GFC follower as mom2gabnnat. This is a great idea for my daughters! "I’ll know I’m grown up when…"
Following via GFC and Power of a Smile is my favorite! I entered the Zylie the Bear giveaway! I entered the Vitamins Baby giveaway!